If ever there was an area requiring that the research-practice gap be bridged, surely it occurs where thanatologists engage with people dealing with human mortality and loss. The field of thanatology―the study of death and dying―is a complex, multidisciplinary area that encompases the range of human experiences, emotions, expectations, and realities. 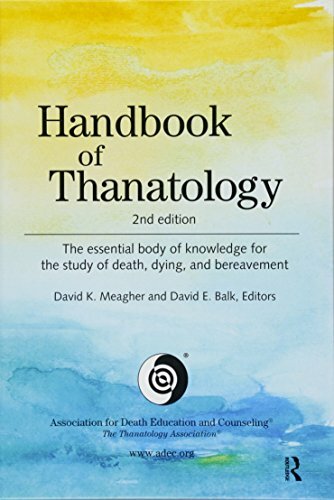 The Handbook of Thanatology is the most authoritative volume in the field, providing a single source of up-to-date scholarship, research, and practice implications. 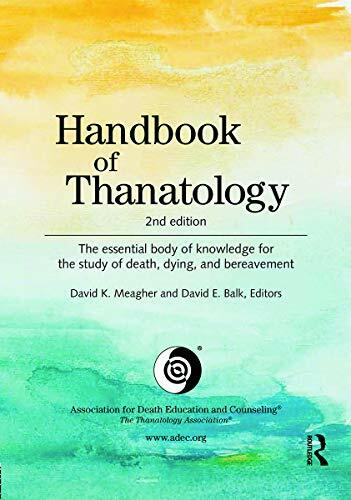 The handbook is the recommended resource for preparation for the prestigious certificate in thanatology (CT) and fellow in thanatology (FT) credentials, which are administered and granted by ADEC. David E. Balk, PhD, is professor of health and nutrition sciences and director of the graduate program in thanatology at Brooklyn College-CUNY. David K. Meagher, EdD, CT, is professor emeritus and founder of the graduate program in thanatology at Brooklyn College-CUNY. MEAGHER, DAVID K.; BALK, DAVID E.